Well, I guess I should leave the writing and let you guys enjoy the blooms, atleast for this post. I know my writing is just... boring, but, I need to write something, or my blog will end up being just a photo blog. 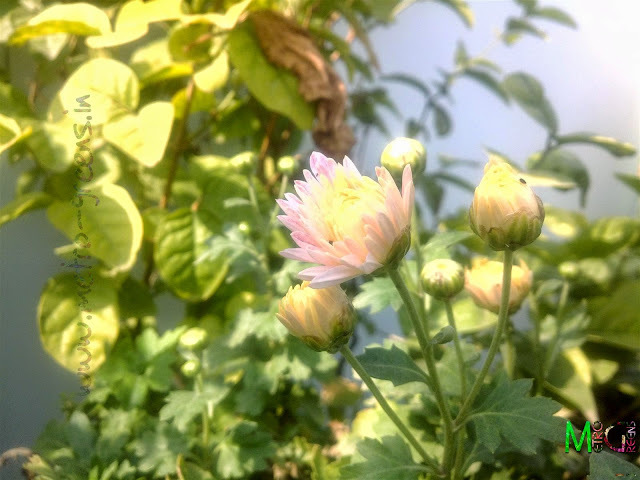 We'll be able to see the chrysanthemums the next year only, so, why spoil the view of these gorgeous plants' blooms without any boring stuff? 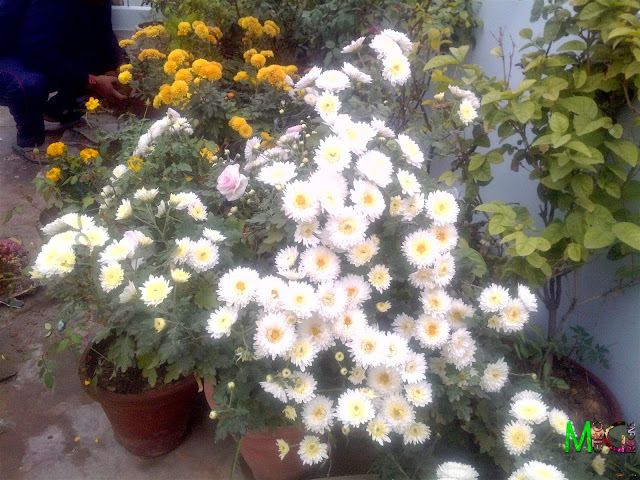 The white mum blooms, a couple of pots, with numerous blooms and buds. 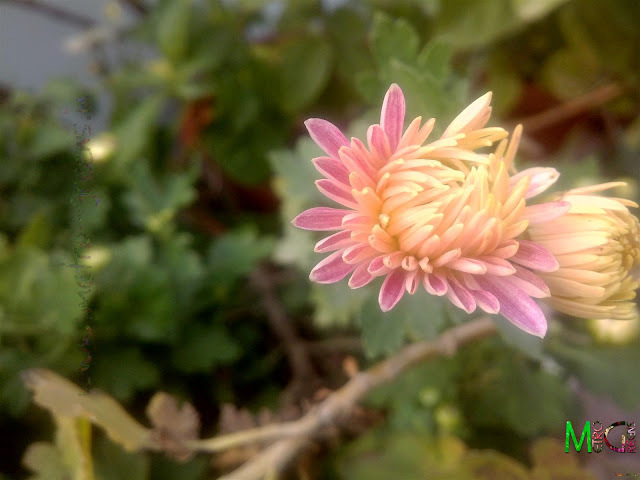 The white mum bloom, that has got a pinkish colour, and is still blooming. 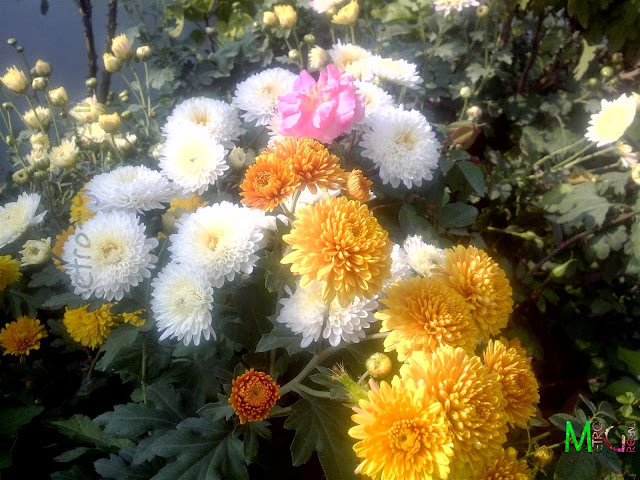 The white and orange chrysanthemum blooms. 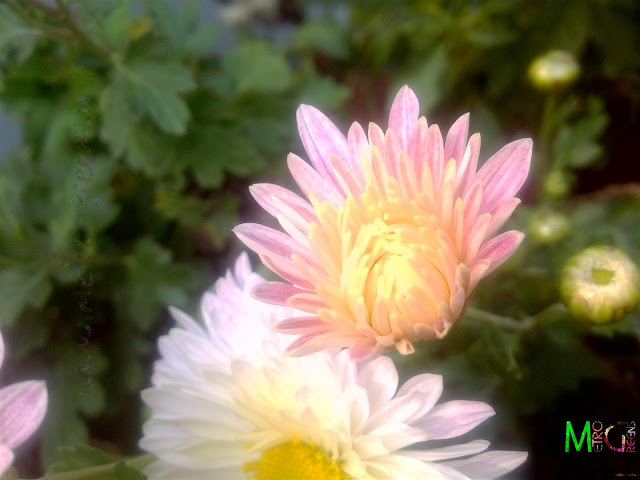 The white and orange chrysanthemum blooms with a pink rose arranged between the flowers. 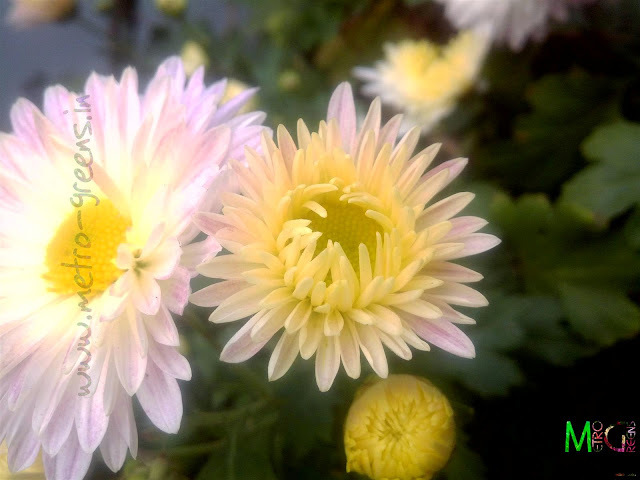 A white mum bloom, that has got a pinkish colour, and is still blooming. 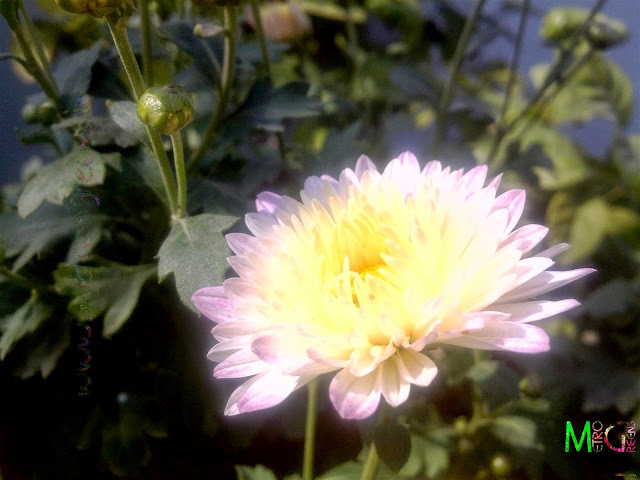 A white chrysanthemum bloom, that has got a pinkish colour, and is still blooming. 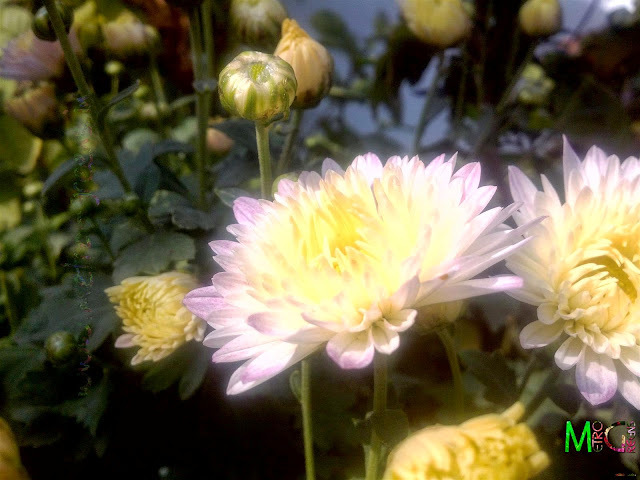 A white mum bloom, that has got a pinkish and yellowish colour, and is still blooming. 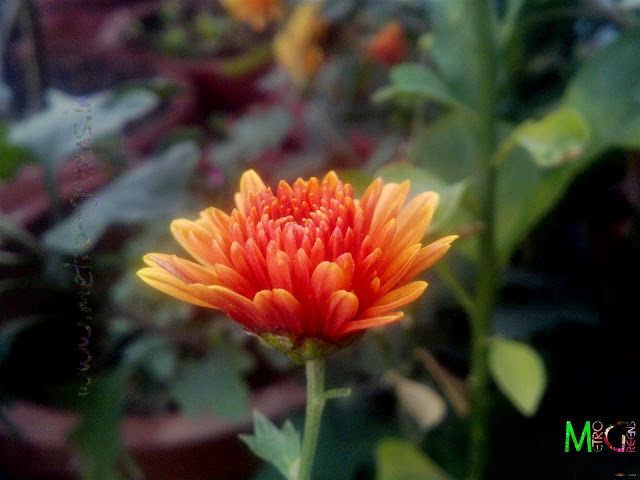 An orange mum bloom, still blooming. I think this will be my last post for 2014, so, I'd like to wish you Happy New Year in advance. Let's meet in the new year with new aspirations. Till then keep trying and HAPPY GARDENING! I love all the flowers. Nothing much to add. 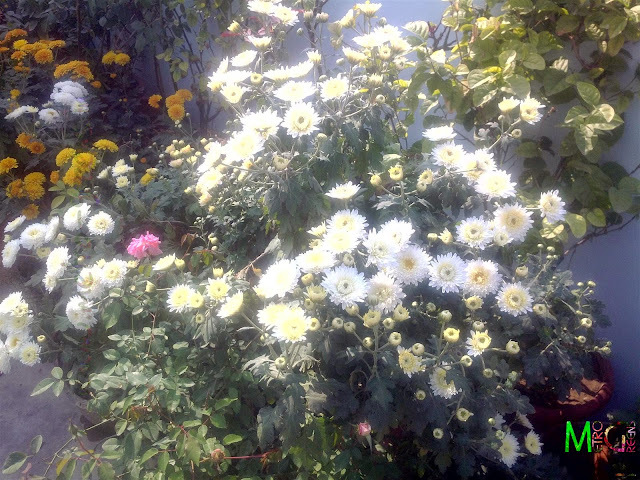 I wish i had half such beautiful flowers in my home. Manogna, get some. 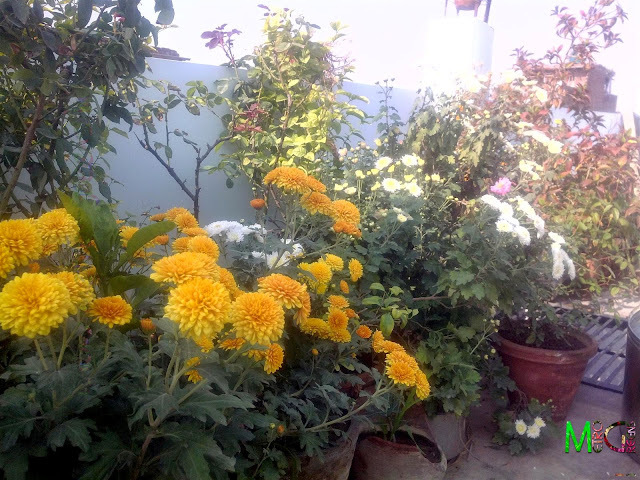 You can have some in pots and enjoy the beautiful blooms in winters. 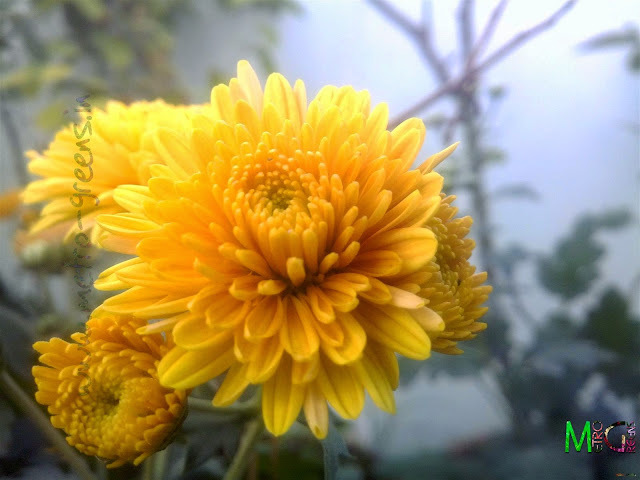 Can you share what do you put to get such beautiful mums?